It seems that Android is reaching everywhere. Since Android came out from 2008 to now,it takes up about 76 share in the smartphone market. We get a lot Android devices to choose from in the smartphone market. Now we are having Android smartphone, Android Tablets, Android camera. But from the 2013 CES, we are now meeting the Android electronic rice cooker, Android refrigerator in the near future. 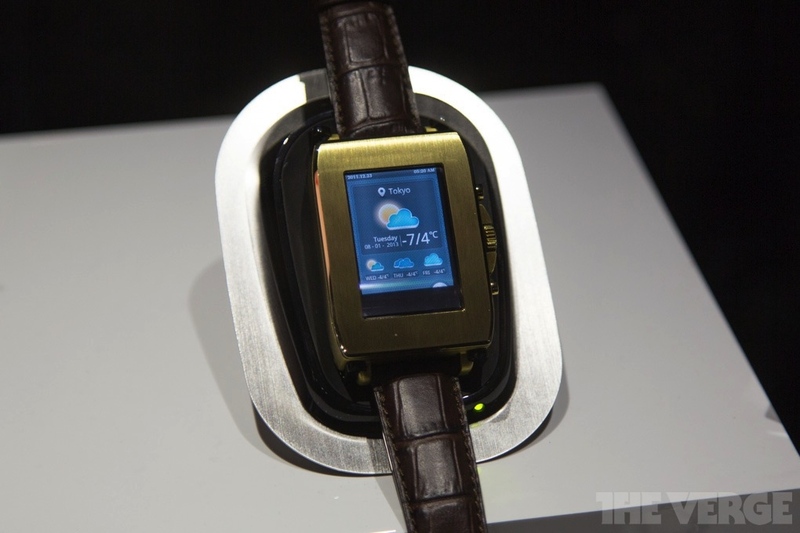 The first Android based watch is created by I'm Watch which is a Italy-based company. 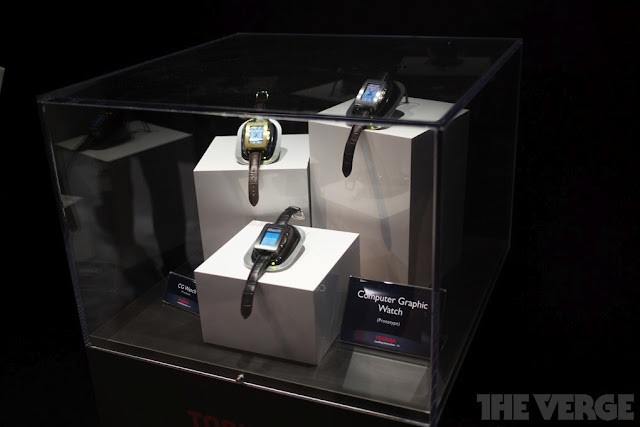 Just from the CES news, Toshiba released a smartwatch with an OLED color display and ARM processor which can run on Android. This is definitely a surprising product. This new smartwatch can help you access to your email, calls, and messages with its 1.7-inch color OLED display when matched with your Android phone. It avoid your take cellphone out frequency. 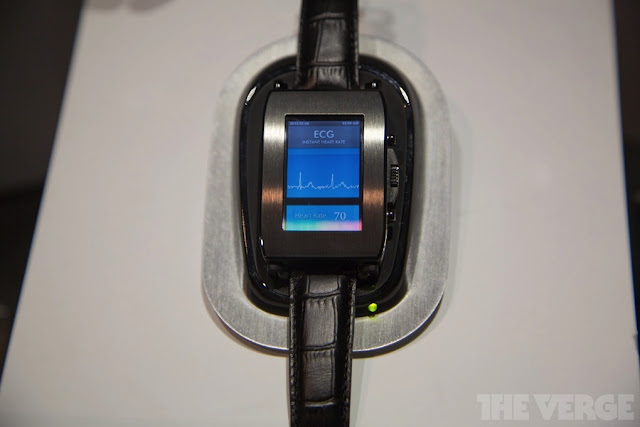 It can also tracks your pulse from your wrist and keeping a fitness record. And if the smartwatch doesn’t recognize your usual pulse, it won’t unlock. According to the display in Toshiba's booth, it gets a variety of different watch faces to choose from. And it will feature a "web shop" for purchasing additional options. and you can customize them to your liking by the related app. For the "watch time" is set by whatever your phone is set to. You don't have to adjust the display for brightness and viewing angle, the built-in sensors will do it for you. The bad news is that we get no idea when this watch will be available to consumers or how much it'll cost, but another option in the smartwatch market can be a good choice regardless of it's easy to use or not.